I can’t think of a more refreshing cocktail than the mojito. The Cubans knew what they were doing….I guess it was out of desperation since it’s as hot as cake balls down there. Well, cake balls are not hot but my point is it’s hotter than here and I complain talk about the temperature here a lot….especially when it’s humid. I have bad humidity hair. Like Monica from Friends. My hair is pin straight unless there’s a slight amount of moisture in the air and then it’s not straight. Or curly…it’s, I can’t even explain it. Back to the mojitos….if I went to Cuba, my hair would be big. And about 4 inches shorter. I would need a few mojitos to forget about the bad hair I was sporting on top of my head. Mojitos are minty and fizzy and sweet and limey. So, sooooo good. It’s 7:30 am and I could go for one right now. I love fruity mojitos which I’m not sure is truly a Cuban thing but let’s go with it. Popsicles are probably not what they had in mind either. 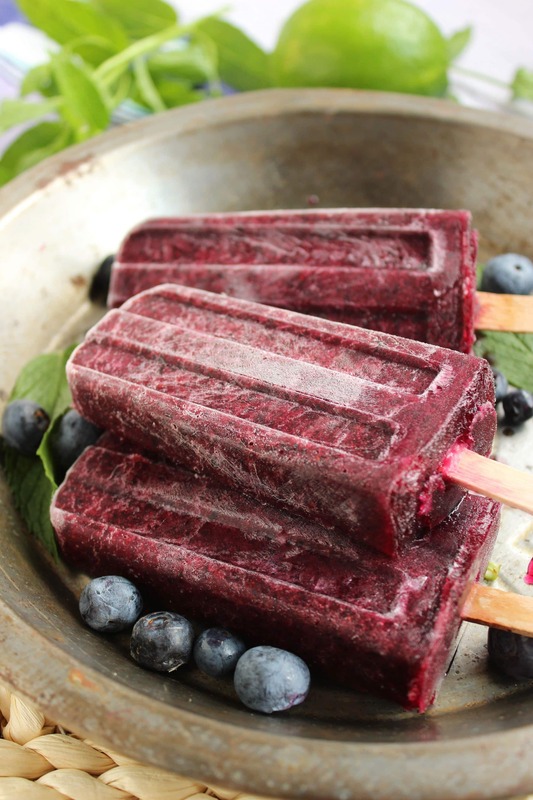 I love all things blueberries and so….I put them in my popsicles. You know what else I did….or didn’t do….I didn’t add refined sugar. I used agave nectar! Which I love. If you don’t love it, you can use honey or coconut sugar or any other sweetener you’d like. It’s your popsicle. Everything into the blender and then everything into the molds. 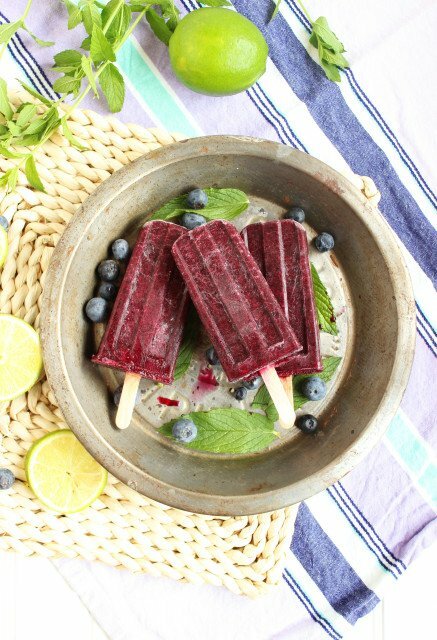 Pop in some sticks and four hours later….Boozy grown-up popsicles! Perfect for poolside…perfect for the beach….perfect for the sofa. You pick the place….it’s your popsicle. And if you’re looking for more boozy concoctions….check out these tropical beauties and this grown-up slushie….perfect for parties of 12 or 1! 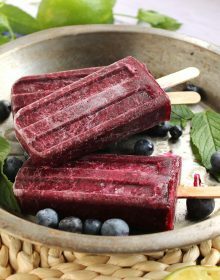 In a blender, puree the blueberries, mint leaves, agave nectar, lime juice and zest. Add the lime and sparkling water and blend thoroughly. Pour the mixture into popsicle molds and add the popsicle sticks. 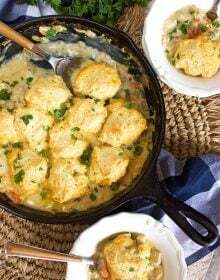 Freeze for 4 hours or overnight. To remove from molds, briefly run hot water over the mold and slide the popsicles out. 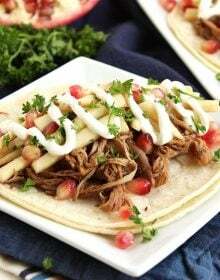 Wrap in plastic wrap and store in the freezer for up to 1 month. 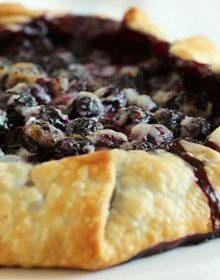 I’d need the rum, I love the use of blueberries! 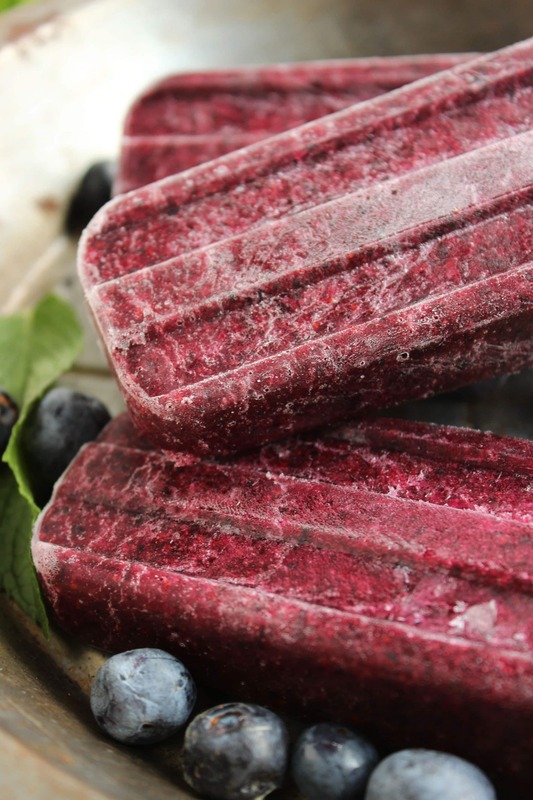 Besides the fact that these popsicles look like they taste amazing, your photos are AWESOME! 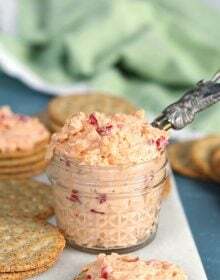 I just have to make these. Going for rum now. Pop-tails are such a fun summer treat. The blueberries with mint sound fantastic! We just made blueberry mojitos for our BBQ July 4th weekend! Love the idea of making them into popsicles! They look great! Yessssss!! Oh how I wish I had one of these right now! 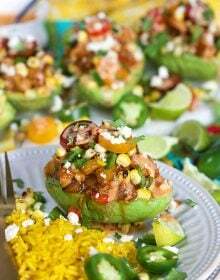 Theses look amazing I so need to make these! I’d need the rum. Lots of rum. 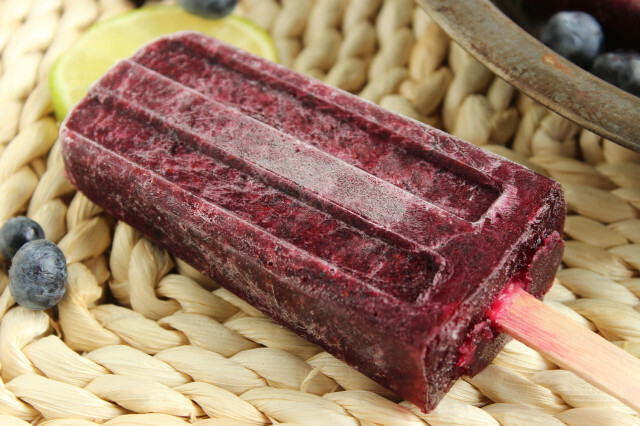 Lots of these delicious blueberry mojoto popsicles. And if you were in Cuba and your hair were Monica big, just pin a rose on the side and roll with it! The rum is non-negotiable! Delicious looking pops and a must with the humidity we’ve been having. Also I’ll join you in the big hair party. Just pretend it’s the 80’s. We are like hair twins. I basically hate leaving the house from June to August for fear of looking like a really weird poodle. So if you could ship some of these to me so I don’t have to leave for ingredients, I’d be your best friend. 😉 Mojitos are definitely the most refreshing thing ever and as a popsicle, even better! I’d keep the rum in FOR SURE. No skipping required!!! Beautiful pops! Love adult desserts! Gorgeous pictures! These popsicles are perfect for summer! Holy Moly, they are beautiful! My husband loves mojitos and I KNOW he’ll love these! After these are completely frozen take them out and throw them into a blender with another shot of rum and blend. Pour in a large glass and put a teeny bottle of barefoot Riesling upside down in it. Such a tasty beverage! !